Children will be inspired to be creative and build with these distinctive Tree Blocks. 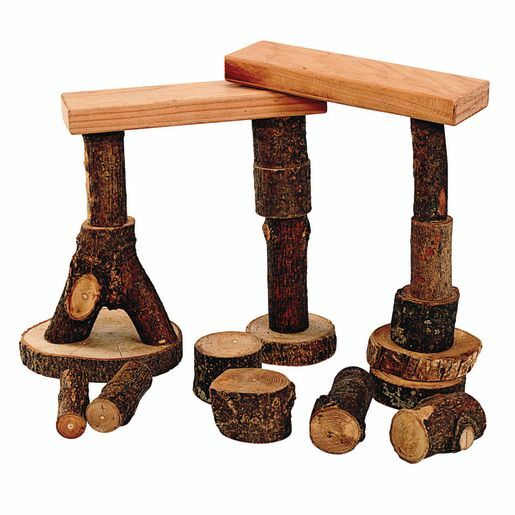 Children can build choosing from 36 pieces in a variety of tree shapes including branching pieces, blocky stump pieces, and circular trunk sections, all with natural bark. Each piece is precisely cut in five heights: 3/4", 1-1/2", 2-1/4", 3" and 4"
Pieces range in diameter from 1" to 5-1/2" and in length from 4" to 10"